If you enjoy your fishing you will be well aware that protection from the wind and rain, and sometimes the sun, is essential. That’s why an umbrella is a vital part of your kit. You probably have one that you use regularly, but does it do the job as best it should? You want an umbrella that is lightweight and that gives you the very best possible protection. This is why many of the very best have fully enclosed sides, to keep the rain and the wind at bay. The angler is well catered for when it comes to quality umbrellas, and at surprisingly little cost, so let’s have a closer look at some of the best buys on the market right now. One of the main requirements of a fishing umbrellas is that it must be able to withstand the elements, and to give you a long life. This high quality umbrellas, from Ultra Fishing, is typical of the enclosed-side design, and offers excellent protection from the wind and rain. The side walls are attached by zips, and have useful windows in, and the whole thing can be assembled in a few minutes. It has fully adjustable tilt and height, comes with pegs to anchor it to the ground, and is suitably light and compact when folded so is easy to carry to and from your chosen spot. 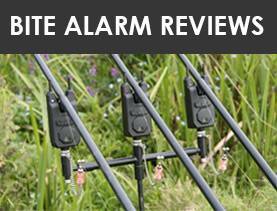 Ultra Fishing is a quality brand and, at around £30, this is a good choice. This one is not an enclosed design, but a typical umbrella – although we should say it’s a rather good one. 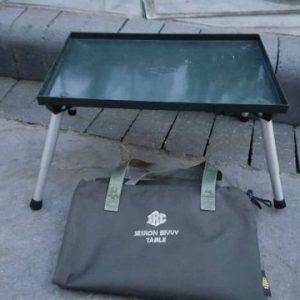 The Bison brand is known for a large range of quality products, and this umbrella does not disappoint. It has full tilt function so can be angled however you want it, and provides a more than adequate 80” cover. The ground spike is also fully adjustable for height, which gives you further scope for use, and it is made from fully coated nylon for durability and long-life. 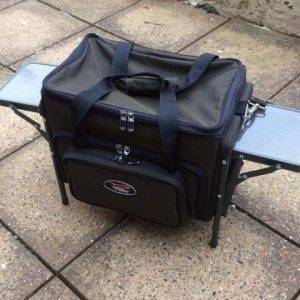 It is designed to be easy to erect and to fit into standard rod holdalls, and is very light so easy to carry around. All in all, a nice fishing umbrella at a sensible price of around £20. The TF Gear brand is well-known in fishing circles for a wide variety of impressive, high-quality items, and this umbrella – while a basic and simple design – is no exception when it comes to quality. It is built to withstand the elements with heavy-duty ribs and durable material, and is lightweight and easy to erect. We do have our doubts, however, about this one cutting it among the others on the list. To begin with, it’s not a fully enclosed design so does not offer you full protection. But, having said that, it’s a typical 45” brolly that offers 2m of cover when open, so is pretty large and usable. However, if a quality umbrella is what you want, at around £30 you might want to take a look at it. 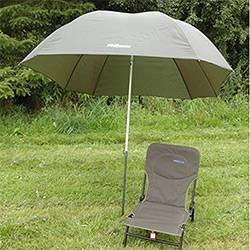 Another popular brand in the world of fishing gear, Koala offers a wide variety of products, of which this excellent, top quality brolly is just one. It’s finished in the usual green for that authentic look, is made from durable and long-lasting material, and is easy to use and lightweight. It’s also large with a 2.2m spread, although only 45” in length when folded. This one is designed with reinforced edges so will stand the test of time and plenty of moving around, plus it has a fully extendable centre pole that can take it to sensible heights. 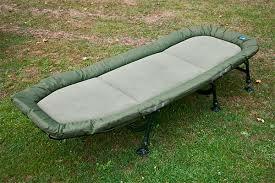 It is also fully adjustable for tilt, so provides great cover when needed. If you want a quality brolly that is light, durable and easy to use this could be it, but there are others with side protection at a similar price; it’s about £25. When it comes to the crunch, there is little to distinguish one fishing umbrella from another – apart, perhaps, from the quality. This one, from Michigan, is a decent brolly, but suffice to say it is maybe not as sturdy and high-quality as some of the others. However, at around £10 it’s a decent budget umbrella that will certainly do the job it is designed for. Finished in the requisite green, it has a fully adjustable pole for added height plus full tilt mechanism, and it is designed for outdoor use so is suitable strong and sturdy. You also get a carry bag with it, which is a nice touch, and it is easy to set up and use. There’s really nothing wrong with it at the price, so if it’s a budget umbrella you’re looking for, it could well be the one. 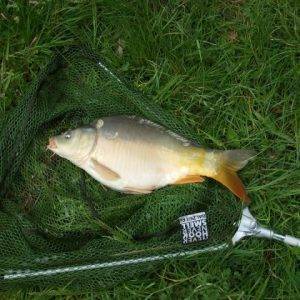 This is a fishing brolly that fits the bill in more ways than one; rather than the traditional umbrella shape, it is deeper and more rounded, so gives you better cover. It’s the typical 2.2m wide for full shade and protection, and is made from high-quality, very durable materials that will stand the test of time and live up to their job. It comes with its own carry case and has a fully adjustable pole, plus it can be tilted to 45degrees for added cover and protection, while the water-repellent nylon keeps you dry and protected from the rain. It has a locking system for added stability, and is an all-round good model that we like a lot. At less than £30 it is a sensible price. A second choice from the Michigan brand is this innovative design; the shelter brolly. Not a full shelter, but a combination of the two ideas, it nevertheless provides an interesting take on what is a traditional idea. The umbrella comes with two flaps added to the traditional brolly design, plus windows in the side for added vision, so provides greater protection than your average brolly. It is fully adjustable for height and tilt, and comes with a full set of pegs and guy lines for securing in position, plus the pole is designed to be easy to punch into the ground. It’s a sturdy and strong design made from the best material, and at less than £25 is a very good choice in our eyes. This is another of the bowl-shape designs, and it is one with many excellent attributes. Rather than the typical 2.2m width for full shade and protection, this one gives you a full 2.5m – which is more than enough – and is made from high-quality, very durable materials that will stand the test of time and live up to their job. It comes with its own carry case and has a fully adjustable pole, plus it can be tilted to 45degrees for added cover and protection, while the water-repellent nylon keeps you dry and protected from the rain. 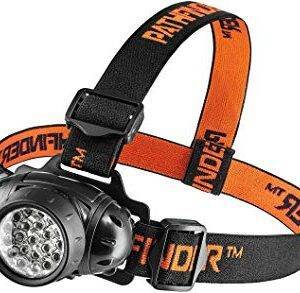 It has a locking system for added stability, and in all possible ways is a very good choice. At around £35 it is one of the more expensive, but it’s still worth the money if you want a quality item. Our second to last choice is this one, from KMS California, and it is a full shelter design that offers many attributes. 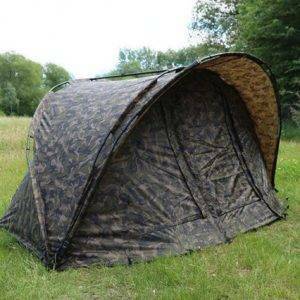 This one gives you a fully enclosed fishing position, so you get full protection from the wind and the rain, with zip sides that you can open and remove with the greatest of ease. 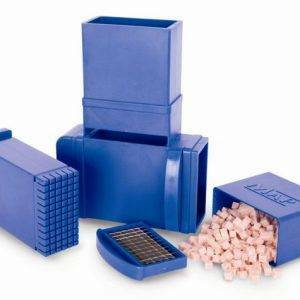 It’s made from highly durable material so will last a long time, and is a very neat design. You get a fully adjustable ground with a full tilt top, so you can angle it how you like to suit your requirements, and the durable build quality means it will last a long time. 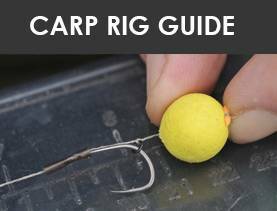 It’s easy to put up and take down – takes just a few minutes – and is surprisingly lightweight and compact when in its carrying form, and you will find it to be a very useful item among your kit. 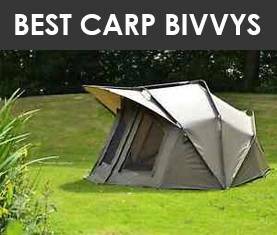 At less than £30 it is also very good value for a shelter of this type. Our final choice is another of the fully-enclosed designs, and a very neat one it is, too. 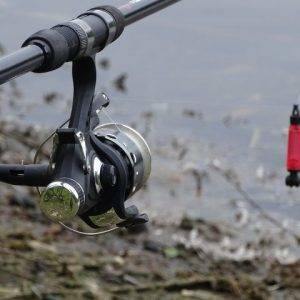 It comes from the Rob McAlister brand, which is well known for a wide range of quality fishing gear, and it offers the fully surrounded style that the above offers. In fact, it’s very similar in design with detachable sides, and is fitted with clear PVC windows on each side. 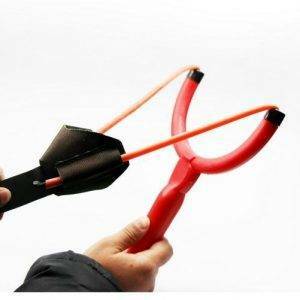 This one comes with the full set of pegs and guide ropes so it can be secured in position, it is easy to set up and put down, is made from surprisingly durable materials and is very light in weight. Indeed, this one features double-stitched loops for the guide ropes so that they will withstand strong wind, and it is clearly designed to last. It’s a very good model indeed, and at around £30 is pretty much the standard price for a good one of these. 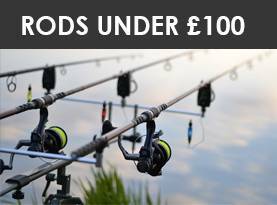 That’s our list of the top 10 fishing umbrellas complete, so before we give you a summary, let’s have a quick reminder of some of the important features to look out for. Protection – the above list contains two types of fishing umbrella – the standard type, and those that provide side protection. It’s up to you which you choose, but many wold recommend the latter for the UK weather! Adjustable – you most certainly want one that is adjustable for both height and tilt, so check the specifications before you buy. 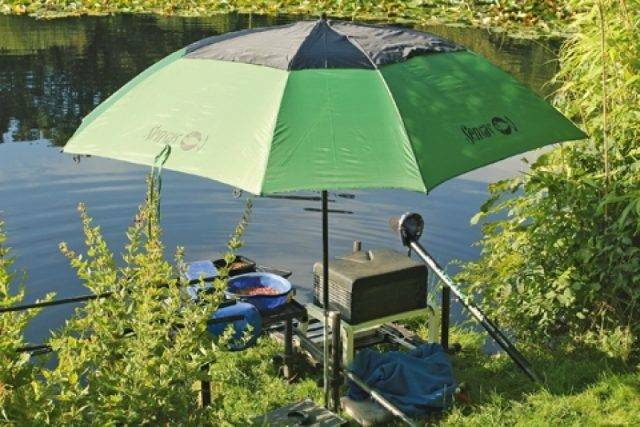 Durable – your fishing umbrella is going to be used outdoors, in all sorts of weather, so you need one that will stand up to the elements, even those offered by a UK summer! Choose the most durable material, and look for guarantees. Lightweight – you will spend a good deal of time carrying your umbrella from place to place, so you want to buy one that is suitably light and won’t add to much weight to your kit. That’s our chosen few points, so let’s sum things up. Each of the above fishing umbrellas has its merits; some are budget models that will be suitable for those with little money to spare, and it really comes down to whether you need one with side protection or a traditional umbrella design, and the budget that you have available. 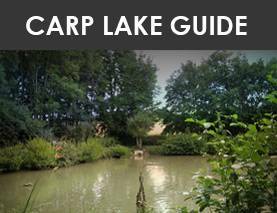 We feel sure there will be one on our list of ten that suits your requirements, so have a quick read through, choose the one you like, and enjoy your fishing in comfort! I really like the look of the Michigan Shelter Brolly looks like it could be really useful for me.